During our visit to the beautiful islands of Hong Kong and Kowloon for the H+ Hong Kong conference in December of 2011, Adam A. Ford filmed a number of segments with me, as we took the day after the conference to explore. In the YouTube video that is included with this post, he manages – in spite of strong winds – to tie together many of the pieces of our meandering discussion about Technology and the Future. For me, it was a very different and extremely pleasant type of interview. Casual dress further emphasizes this in the footage, sporting our Halcyon Molecular mechanical butterfly T-shirt and wind-whipped curls. Here is the video, and below, a quick summary of topics. Significance of the work at Halcyon Molecular, and DNA sequencing in general. What I talked about at the H+ Hong Kong conference, and why. Meta-comments about the topics and conversations that dominated the H+ Hong Kong conference. The 4 routes to Life-Extension. The concept of “Stasis as Time-Jumping”. Why replacing neurons in-situ as therapy is a difficult proposition. Future living, space travel, and trading computational resources and information. Aspects of “transhumanism” that have appeal, such as open-mindedness and constructive thinking about technology. The luxury that we have to strive for ambitious goals, and the possible need to work fast, as those ambitions depend on a potentially fragile infrastructure. There is a form of Nihilism that in essence states that we have no choices, because in the physical universe, all things are in the end determined by their causal relationships. Certainly, determinism is still a strongly debated topic in physics and philosophy. Let us accept for the moment that determinism is correct. The nihilistic statement is then ever so false. Determinism is closely related to hindsight. After an outcome, we may look back and say, “well, given that all is deterministic, we can see how all of the causal roots, their effects, conditionals and decisions inevitably led to this circumstance”. Notice that each element in that reasoning is absolutely essential. The deterministic outcome is possible only when each element takes its place, when each decision is made based on all of the underlying causes and reasons. In the deterministic universe, all of our decisions and actions are crucial, just as much as they are unavoidable. By contrast, in a universe where there is a significant level of non-determinism, we can count on none of them in the long-run. The incipient influence of non-deterministic effects eventually undermines the ability to find strong causal support for any outcome over a long period of time. The effects of our actions and decisions disintegrate and are wiped out. So, while it is comforting, in a deterministic world-view, to rely on the nihilistic outlook that we can really not affect anything beyond what will happen anyway, it is an outlook that omits time. If we take into consideration time, and our perception within a moment of time, then the deterministic universe is full of unknowns, but also full of possibilities that crucially involve us. 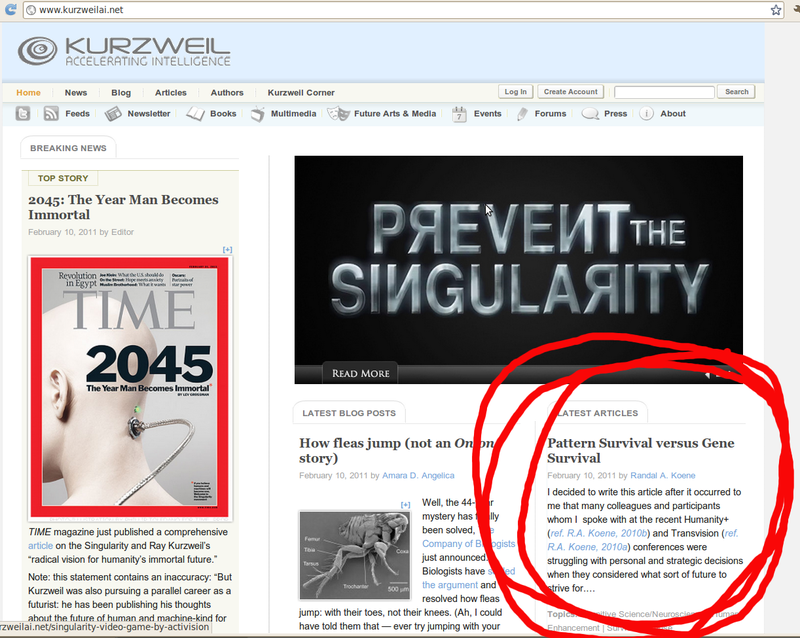 My latest article just hit the front page of KurzweilAI.net. If, like me, you have wondered about the best way to invest your effort in a transhumanist or singularitarian direction, then please read it and tell me what you think! What does a self-consistent, intelligent and capable person do? Which goals are so sound, so promising and so exciting that you can allow those goals to fully motivate you? Which goals can you embrace in the knowledge that you stand on a firm foundation, that your thinking is clear, and that you can be a pioneer to excel in a significant part of a vast new future? What is more important to you: competitive patterns of thought or a sequence of DNA? Ultimately, there is no inherent reason to be more attached to the sequence of nucleotides that defines the human form than to the one that defines the form of an ant. The part that is interesting to us is the emergent world of thought and perception. If you would like to see a future that includes improvements beyond our species’ status-quo, then you should work on a transhumanist strategy that optimizes pattern survival and competition, namely work on substrate-independent minds and mind uploading. There are signs of a shift from gene-survival to pattern-survival, and Universal Darwinism favors the pattern competition winners. Of all the transhumanist strategies, advancing substrate-independent minds (ASIM) is both connected with its originating human interests and it most directly embraces and plays the game of competitive natural selection. My first little blog-post… and a small attempt to start collecting my little music suggestions rather than have them randomly appear and disappear in posts or comments. I’ll start with two sections, just to keep it simple: New and Old. New comprises mostly music in the genres Symphonic Rock, EBM, Gothic music (of various persuasions) and similarly inspired. 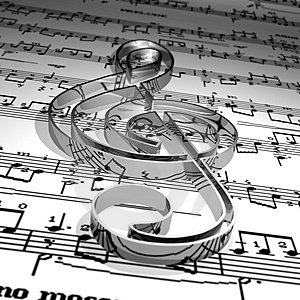 Old comprises mostly Classical, Romantic and Baroque pieces. So let’s get started. (Please excluse the dearth of material at this early stage… I don’t intend to put a ton of time into this right now, but instead wish to collect as I go). The song is amazingly well done. The video… well, I tend to agree with some of the comments registered there. While the incident shown is quite terrible and significant, I would prefer if it were not directly associated with this song, which has a different tenor. Unfortunately, the only other video that I found with this music seemed even less appealing. I would suggest just listening to the song. Turn off the lights, start writing, reading, drawing or just meditating… and Listen. One track, but more than one composition. Also see the original Mozart version below!! Razed in Black – Oh my Goth! In my opinion, this mix is even better than the original. And the video, while quite different than the music video (here) is fun. Mozart’s ﻿Haffner-Serenade No. 7 D Major K 250, in particular, part IV. Rondo – Allegro! I hope you enjoyed the listen. Send me your suggestions in the comments below!